Rainbow Chicken opens doors to new possibilities! 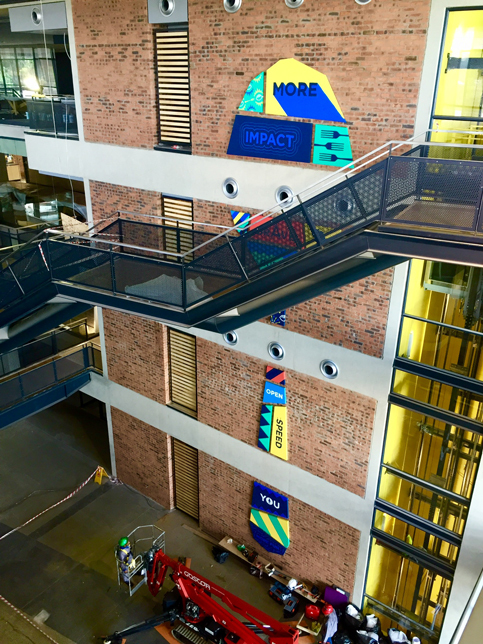 As if inspired by George Seurat, 100,000 wooden teaspoons were perfectly placed like pixels over 3 boardroom walls to create a cascading art piece spanning three floors. 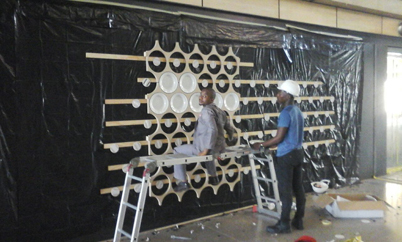 Two giant 24 meter high mosaic spoon art pieces puzzle pieced to the walls. 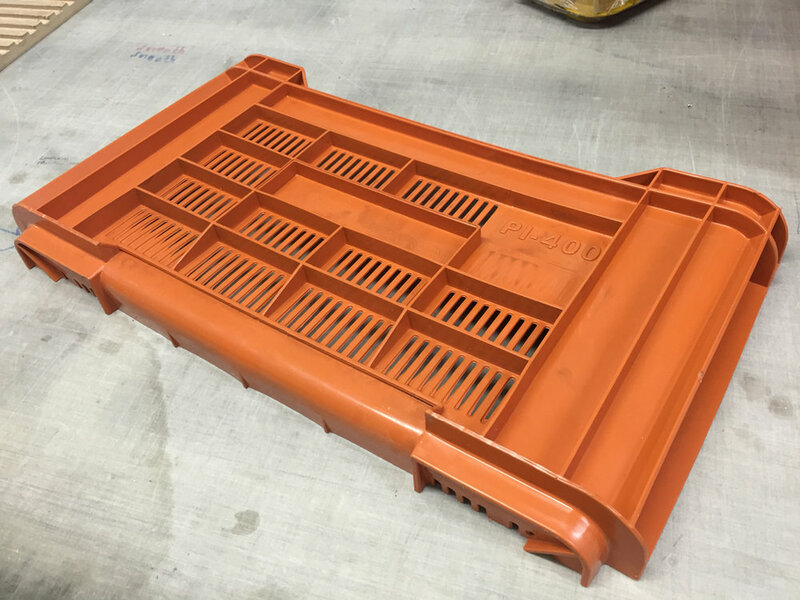 Over 100 meters of plastic crates cladded to canteen counter fronts. 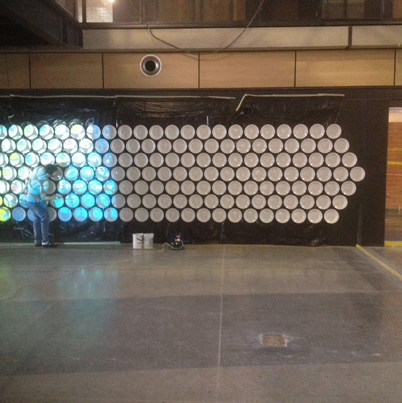 Not to mention 144 Enamel Plates pinned with geometrical precision to a wall. 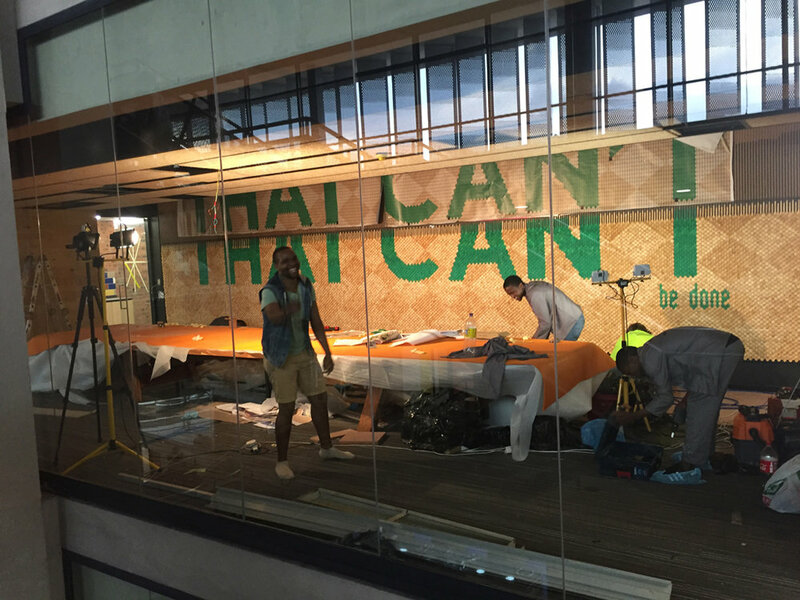 Through client collaboration, brainstorming, using logic & relying on intuition, taking calculated risks & prototyping we found solutions to achieve the clients vision. It was no small feat, but was planned properly and executed seamlessly- this is the embodiment of our credo "reliable excellence"! There are few folk in the world that are insane enough to take on the stuff we’ve asked you to (and I mean this in the nicest possible way!). And fewer still with the level of enthusiasm and energy you’ve tackled it with. 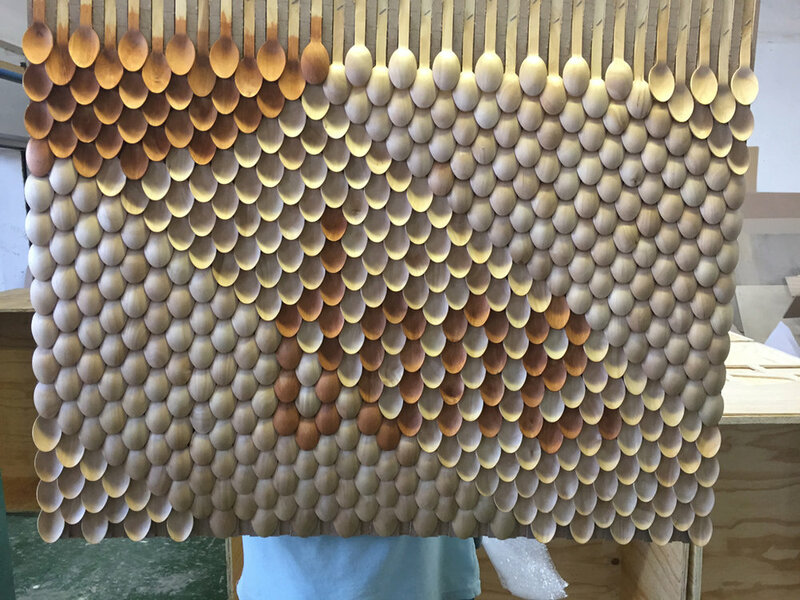 100,00 wooden tea spoons were pinned with pixel perfect precision to the wall either face up or down to create this patterned lighting effect! 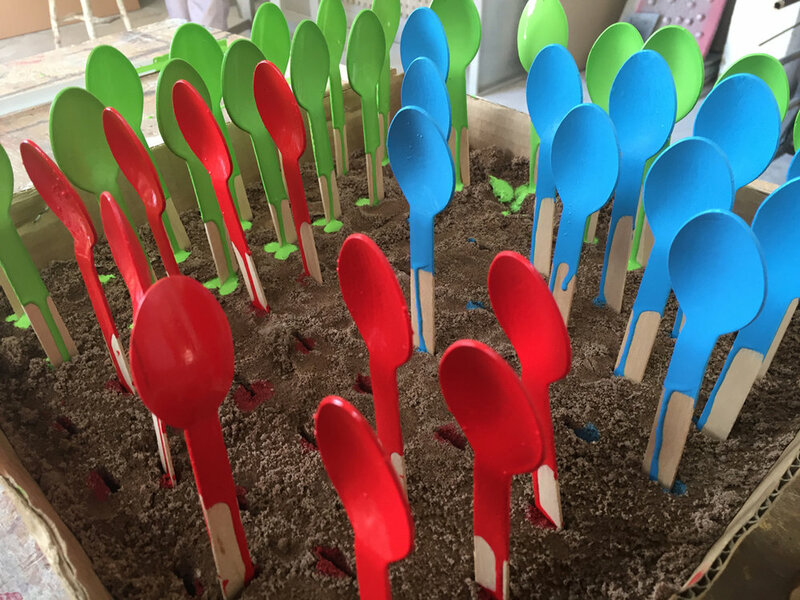 Spoons were stained blue, red or green and meticulously positioned to display the wording on each boardroom wall. 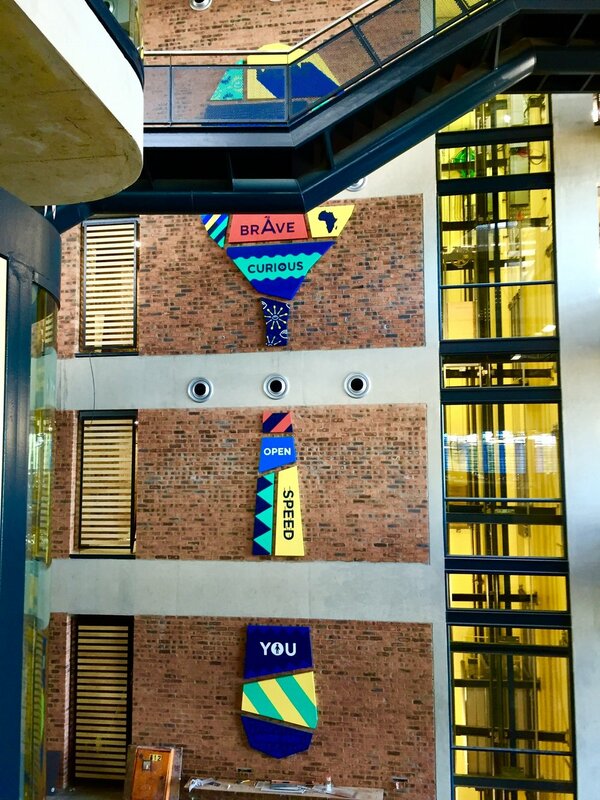 Approximately 24 meters high each canvas was hand painted then mounted onto the wall by our qalified installation team. Just wanted to mail you and thank you again for the quality of work you and your team have produced over the past few months. I’ve said it before, you are a valued supplier and friend to us and you’ve undoubtably shown us exactly why that is. (And set the bar extremely high for all future jobs). Beyond that, the ideas, problem solving, collaborative energy and just general great attitude towards everything is something we truly appreciate. — Greg Darroll, Creative Director. The Hardy Boys- Disturbance. 144 Plate Mural pinned to the wall.